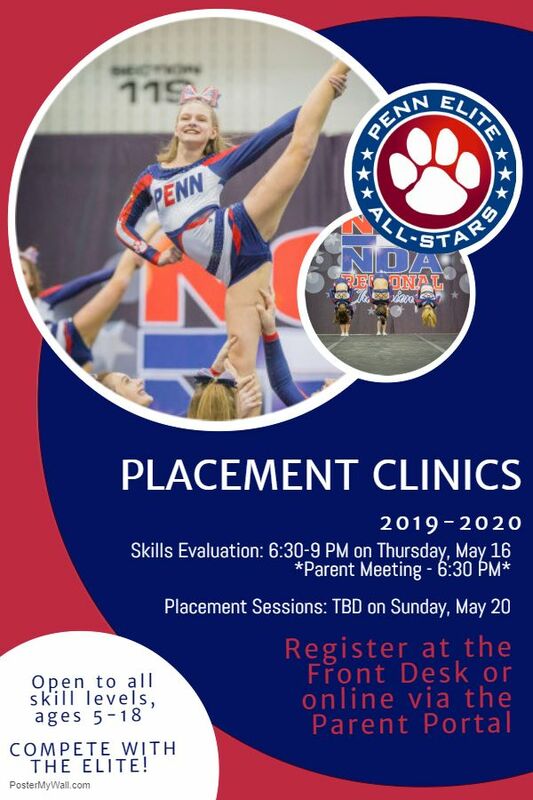 Click here for info on the 2019-20 placement clinics! 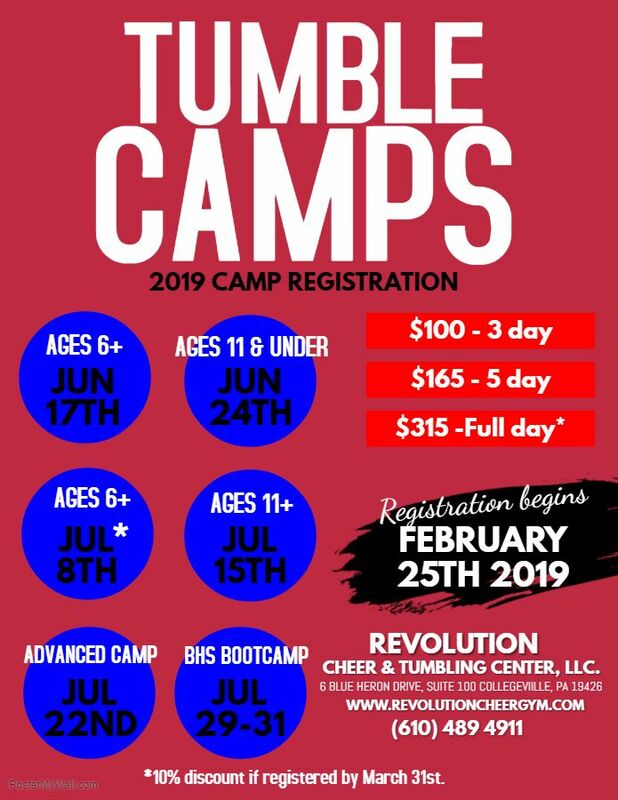 Click here to register on the parent portal! May Mini Tumbling Session is NOW OPEN! Click on Classes page to Register! call 610.489.4911 for more info.